The second volume of the Fourth National Climate Assessment was released on 23 Nov 2018, the day after Thanksgiving. A version of this post appeared on www.warrensnotice.com shortly after the first volume was released in 2017. It stands on its own and set the stage. Welcome back. Surprise, surprise. The White House approved release of the Climate Science Special Report, the first of two volumes of the Fourth National Climate Assessment. 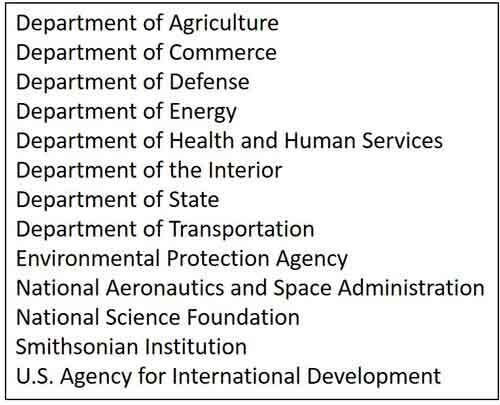 Also, apparently none of the 13 Federal agencies responsible for producing the report tried to undercut or change the findings of its scientists. It’s easy to forget that, once upon a time, Republican presidents were the environmental good guys. In 1970, for example, Richard Nixon created the Environmental Protection Agency, and he did it by executive order. The consensus is that his motivation was truly environmental. Even closer to the topic, Ronald Reagan and George H.W. Bush actively promoted measures to combat climate change. One major action was the U.S. Global Change Research Program (USGCRP), established by presidential initiative in 1989 and mandated by Congress in the Global Change Research Act of 1990. 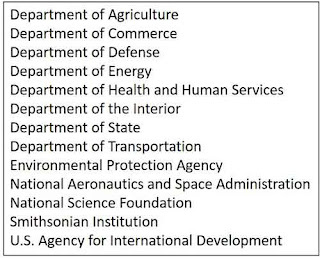 The USGRP directed 13 Federal agencies to develop and coordinate a comprehensive and integrated United States research program which will assist the Nation and the world to understand, assess, predict, and respond to human-induced and natural processes of global change. One mandated product of the USGRP is the National Climate Assessment. Every four years, the agencies prepare a report that analyzes both the effects of global change and the human-induced and natural trends in global change for the subsequent 25 to 100 years. The Climate Science Special Report is an authoritative, comprehensive 470-page, 15-chapter, 5-appendices assessment of the science of climate change with a focus on the United States. It was prepared by scientists in government and academia and peer-reviewed by the National Academy of Sciences. Each chapter of the report includes key findings with confidence statements. I’ve taken excerpts from several findings of high or very high confidence to convey the significance of the issues. - Tidal flooding will continue increasing in depth, frequency, and extent this century. 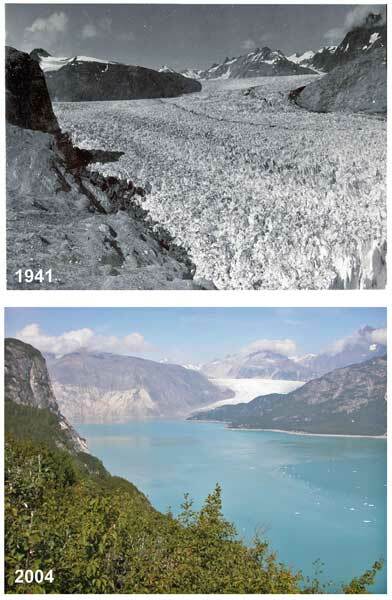 U.S. Geological Survey in 1941 and 2004. 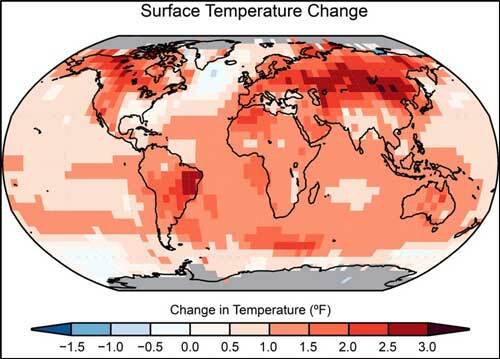 The concern is that we’ve passed the global climate tipping point. Whereas the Paris climate agreement aimed to limit global warming to 3.6°F (2°C) above preindustrial levels, the UN climate negotiators are now forced to consider 5.4°F (3°C). The sea-level rise alone would impact hundreds of millions of people. Although certain US states, cities and businesses are trying to step in to fill the role abdicated by our federal government, coordinated global action is critical. Let’s hope the report’s release signals a change. Thanks for stopping by.